Redefining a brand that is over 85 years old with a stronghold in saltwater fishing is a significant undertaking. The truss inspired body design with the Y shape foot is now a unique identifier to the PENN branded saltwater spinning reels. 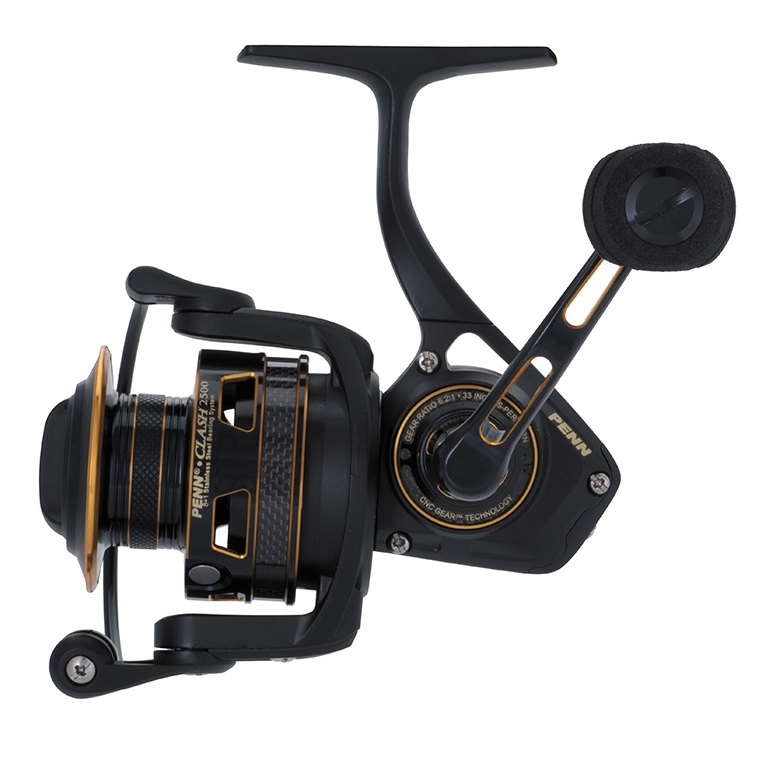 Reducing a spinning reel's visual mass while conveying a strength and durability is an important trend in modern fishing equipment. How a reel becomes lightweight and strong is a challenge put forth in almost every fishing reel development program. The Conflict ll accomplishes this with both design and material selection. Carefully considered holes, patterns and surface relief take away actual mass. A high strength material RR30 (Rigid Resin 30) used in the body and rotor have the strength properties of metal without the weight. Lightweight carbon fiber details minimize heavier plastics or metals in some areas. The anodized aluminum spool is designed with a center rubber gasket that prevents the new superlines, fluorocarbons and braided fishing lines from slipping. The common touch points; the large drag knob, heavy gauge bail wire and foam handle knob are easy to grab and use. The carbon fiber drag washers provide a smooth drag under heavy loads. 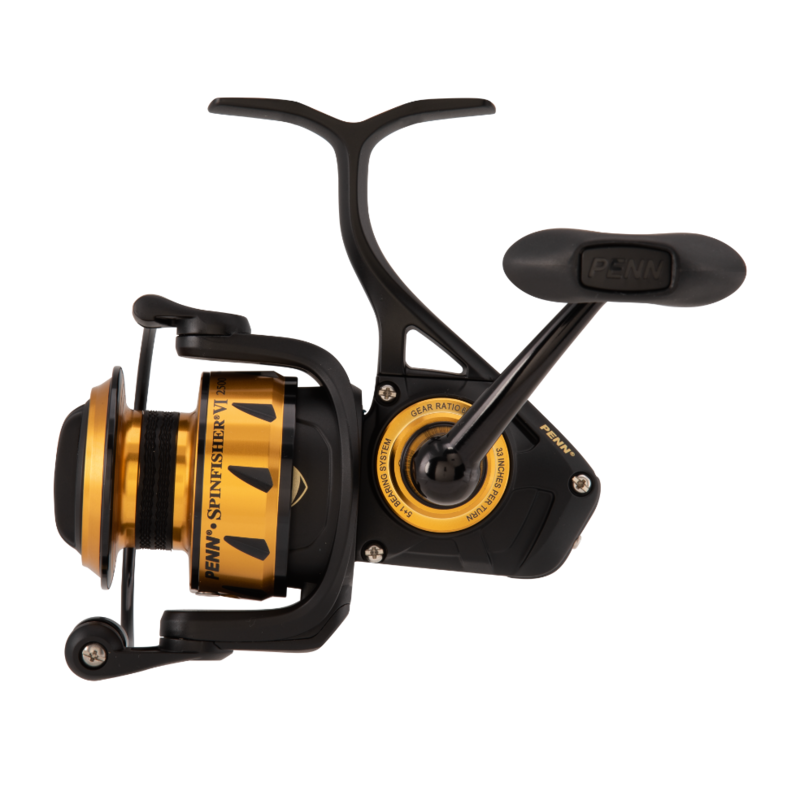 This reel is PENN’s lightest offering and every component was carefully designed and selected with the new brand attributes in mind. The matte black aesthetic & carbon fiber details convey a modern “performance” aesthetic and attract todays discriminating anglers.